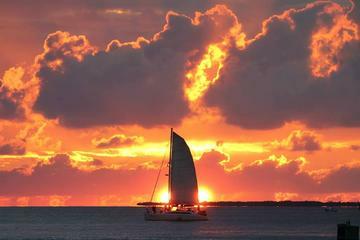 Admire an exquisitely painted sky during this Captain’s choice sunset cruise in Key West. Create fantastic memories as you set sail on a Sebago ship, sipping provided sparkling wine and peeling back delicious shrimp on your way to the best sunset viewing spot. You’ll enjoy twilight views of the island as you watch the famous Key West sunset from the water.